It’s already general knowledge that smoking can have negative effects on someone’s health. However, quitting can be a challenge for most people especially if they have been addicted to it for quite some time. Quit beyond health reasons. 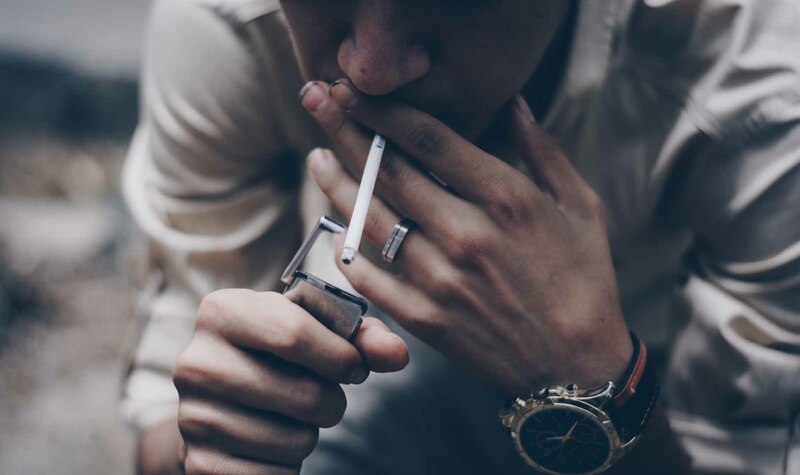 We all know that smoking can cause you cancer, heart disease, stroke, ulcer, and even dental problems. More so, give a thought about the effects on your loved ones should you acquire any serious health problems due to smoking. Just imagine the amount of time and resources you and your family will have to spend for check-ups, medical procedures, and even medicines. And that’s not even the worst. Getting rid of this vice can also improve one’s life expectancy so you can have a better chance of being with your kids as they grow up and even enjoying your future grandkids. It could also mean maximizing your time with your family and enjoying all of your family events. Save a substantial amount of money. Smoking alone can cost you a lot of money. Say, you are spending about Php1k per month to buy cigarettes, which is already equivalent to Php12k per year. Hey, that’s still a good amount of money you can keep or spend on more meaningful activities with your family. Perhaps, the average income earner would not mind spending this amount until they realize the full cost to recover their health years later. You get to enjoy more things in life. Take for an instance, that you developed heart disease in your mid 30’s. Suddenly, you will get to enjoy a much less food selection given the tons of restrictions that your doctor will impose on your diet. Imagine a celebration or a dinner in a posh restaurant with the family, where you only get to have a few bites or none at all of that steak or seafood on the table. Non-smokers also tend to have more energy than their counterparts. This means that you are more likely able to keep up with the energy of your toddler if you do not smoke. You’d also lose the anxiety of waiting for the movie, dinner, or your child’s recital to end, to be able to puff on your next stick. You become a good role model. We often say that we need to practice what we preach. So if your kids always see you with a cigarette stick in hand, what do you suppose will they think if you tell them that smoking is bad for their health? Have healthier kids. Some may argue reports that secondhand smoke is not worse than active smoking but would it even matter if we are talking about your kids’ health? More importantly, expectant mothers should avoid smoking by any means to avoid any complications during pregnancy. Experts suggest that pregnant women who smoke have a high probability of having a miscarriage, premature birth causing the child to have poor weight, and other health problems for both mother and child. Now that we have a number of good reasons to quit smoking, it would be best, as parents, to keep our child educated on its harmful effects as early as possible. Because soon, they will be spending more time with their peers, who might influence some of their choices as they grow up.